The power of e-commerce is becoming harder to ignore. This year’s Cyber Monday, considered to be one of the biggest online shopping days of the year, broke sales records. 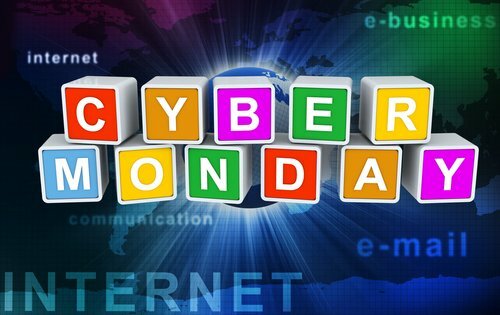 According to information from IBM, this year exceeded sales for last year’s Cyber Monday by more than 17 percent. 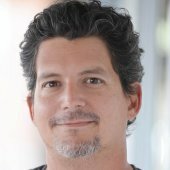 But marketers shouldn’t just pat themselves on the back; there is a lot of vital information about the future of commerce that can be gained from the data. One of the thing that makes the explosive growth in e-commerce sales this year so impressive is the unimpressive performance in other areas. According to the LA Times, retail stores sales only grew by 1 percent, which was below expectations. Electronic retailers, like Best Buy or CompUSA, saw their sales decline by 6.5 percent. This data strongly suggests that more and more shoppers are moving to online storefronts to find the best deals. Another takeaway from Cyber Monday, is that the name isn’t just ecommerce propaganda. Ecommerce sales skyrocketed on Cyber Monday when objectively compared to other shopping days in the season. Statista released some data that showed how impressive this year’s Cyber Monday was. The average holiday season daily ecommerce sales around $747 million. This year, an increased focus on Thanksgiving specials pushed ecommerce sales for that day up to $766 million. Black Friday brought in $1.198 million in ecommerce sales. As impressive as each of these figures is, Cyber Monday sales were at $1.735 million, which is a 45 percent increase over the Black Friday sales. To be fair, the great ecommerce sales weren’t shared equally. Many of the largest online retailers had sales increases well above 17 percent, which means that many of the smaller retailers must have had growth that was less than 17 percent. According to ChannelAdvisor, a company that tracks third-party sellers on eBay and Amazon, sales on Amazon were up 44.3% over last year, while sales at eBay were up 32.1%. The greater move to online sales shows that consumers are becoming more savvy about competitive shopping and the deals that are available online. While the trend is disturbing to many brick and mortar retailers, the National Retail Foundation sees the trend continuing into the future. “The real winners are, in fact, the consumers, who are recognizing more savings through competitive pricing and great promotions being offered in every category,” NRF Chief Executive Officer Matthew Shay said in a statement. One final thing that should be noted about Cyber Monday is the amount of sales that were made through mobile devices. Just under 30 percent of all online sales on Cyber Monday were made on mobile. On Black Friday, more than half of the visits to Walmart.com came from mobile devices. It should be noted that smartphone users were more likely to shop on their device while tablet owners were more likely to buy from their device, according to the available data. Though Cyber Monday has passed there are still many days left until Christmas. Retailers can still take advantage of the momentum that was started now to reach new customers who are shopping for that perfect gift. In fact, retailers like Target and Sears dubbed their event Cyber Week and have been pushing sales steadily since. There was more than $2 billion in online sales on Cyber Monday and there is still plenty of shopping left to be done. Make sure your website is optimized to take advantage of the holiday season.